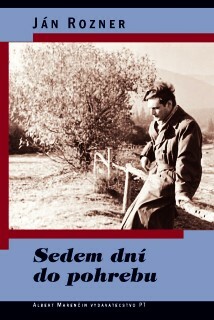 Ján Rozner (1922 – 2006) was a leading Slovak journalist, literary, theatre and film critic and theorist, and translator from German and English. Following the Soviet-led invasion of Czechoslovakia in August 1968 Rozner and his wife Zora Jesenská, a distinguished translator of Russian literature, both of them active proponents of the Prague Spring, were blacklisted and lost their jobs. When Jesenská died of cancer in 1972, her funeral – which is the subject of his acclaimed literary autobiography Sedem dní do pohrebu (Seven Days to the Funeral) – turned into a political event and everyone who attended it faced recriminations. In 1976 Ján Rozner emigrated to Germany with his second wife, Sláva Roznerová. He died in Munich in 2006; his wife passed away in August 2014.